These home-run treats cover all the bases. 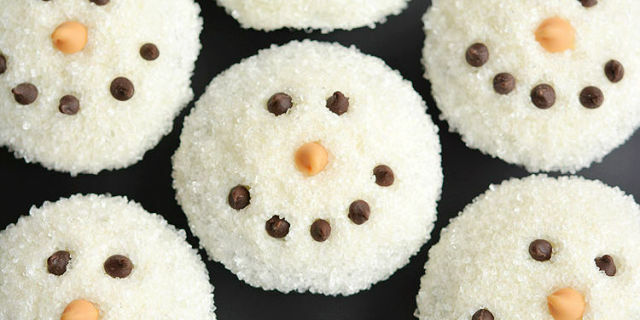 They're sure to satisfy any craving- from sweet to salty, this holiday season! Santa called! He said you have been super SWEET this year! You deserve a SweetsGiftBox. Pamper your taste buds with a variety of different textures and flavors. 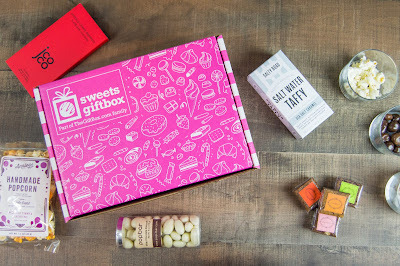 Each month you will a box jam packed with goodies ranging from gourmet chocolates and cookies to artisan candies and treats, SweetsGiftBox is your ultimate sweet tooth experience. Treat yourself or order a gift for that special someone! Use code HOLIDAYCHEER at check out to get 50% off a subscription or 40% off a 1 time purchase. 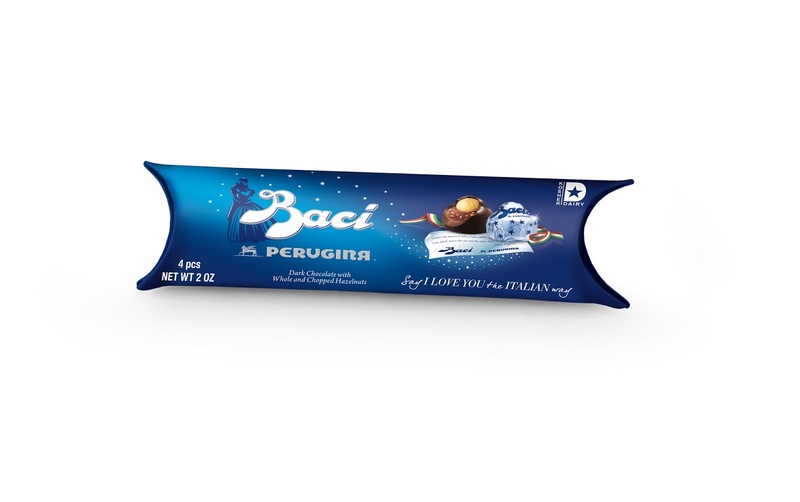 Baci Perugina, an iconic Italian chocolate brand - now available nationwide - was founded in 1922 by Luisa Spagnoli. The chocolate remains unchanged - available in milk and dark chocolate, contains a creamy milk chocolate, chopped-hazelnut filling crowned with a crunchy whole hazelnut, is made with just eight, all-natural ingredients, and is still produced in the charming village Perugia, Italy. Not only recognized for its heritage, quality, and taste, this world-renowned brand has become a symbol of love and affection – each Baci confection includes a signature Baci Perugina “love note” bringing the words of philosophers, classical authors, proverbs, and more to the indulgent experience – a sentiment (and tasty treat) that is perfect to share during the holiday season. 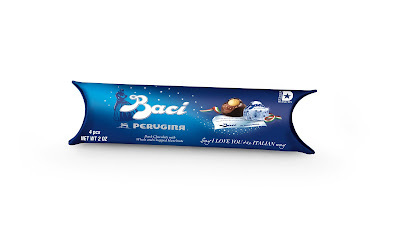 Baci Perugina boxes of chocolate starts at $3.49, making it the perfect stocking stuffer. Each small batch of THEIR chocolate bark is hand-made using only 100% real chocolate. 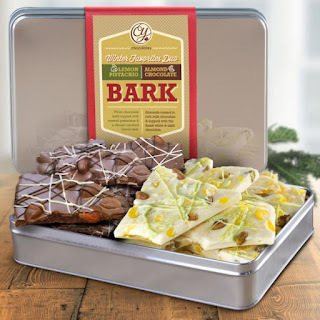 Get two delicious barks In one gift tin: Rich white chocolate lemon pistachio bark with crunchy roasted and salted pistachios, and tart-sweet lemon candy bits with real lemon oil for an exotic mix of flavors. Dark chocolate almond bark is loaded with roasted almonds complemented by rich chocolate flavor for a classic bark that is a popular favorite. During the holidays, there is no better present than Hershey’s KissesKissmas Chocolates. 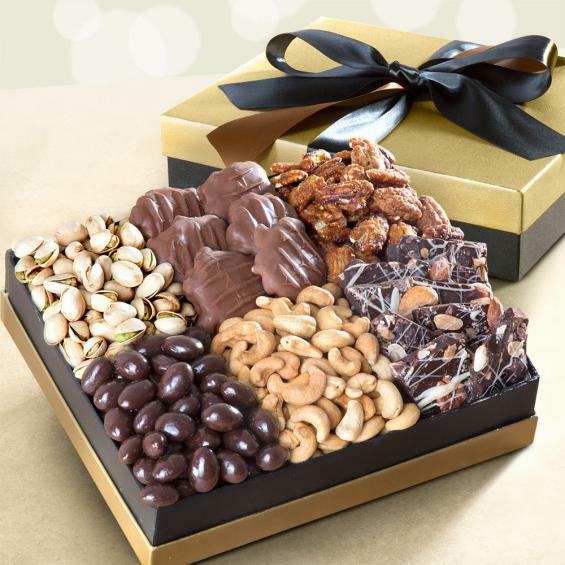 Whether you’re planning an ugly sweater bash, trimming the tree, sending letters to Santa or tying ribbon on that perfect gift, these uniquely wrapped treats are sure to inspire new ways to make the season sweeter. o Hershey’s Kisses Kissmas Gift Chocolates – Sold exclusively at CVS. Available in 9 oz. (SRP $4.49). 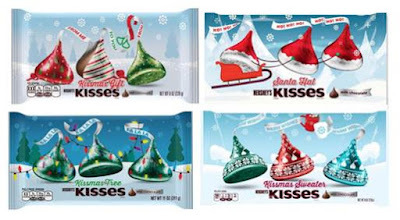 o Hershey's Kisses Santa Hat Chocolates – Sold exclusively at Target. Available in 11 oz. (SRP $3.49). o Hershey’s Kisses Kissmas Sweater Chocolates – Sold exclusively at Walmart. Available in 11 oz. (SRP $3.24). o Hershey’s Kisses Kissmas Tree Chocolates – Sold exclusively at Kroger and the Kroger Company family of stores. Available in 11 oz. bag (SRP $3.50). ***Watch this spot for more holiday sweets and salty treats for the holidays.